Bot-aspirancy comes in many forms, but goodness in highsec comes in but one: the Code. When the Code meets bot-aspirancy, fantastic things occur. Let's look at some of the more spectacular explosions that went off during the week of June 5th @ 00:00 EVEtime through June 11th @ 23:59 EVEtime. The lab dropped a massive collection of 135 BPOs and blueprints (click for full-size), which the in-game valuation mechanism estimated at 13.7 billion isk. It gets worse for FEROX AQUILA, though. Aaaarrgg noticed that the in-game estimate undervalued the items, even listing some of the capital BPOs at 0 isk. In addition, the large volume of blueprint copies--all heavily researched--hinted at the presence of capital BPOs which were destroyed in the attack. Aaaarrgg estimates that going by proper market value, FEROX AQUILA lost as much as 50 billion isk worth of BPOs and BPCs. Seeking a more accurate figure, Aaaarrgg sent info requests to members of FEROX AQUILA, but there hasn't been a reply so far. Just imagine losing 50 billion isk because you didn't want to admit the New Order's power. A mining permit is probably looking pretty good to those people in hindsight. Meh Feh piloted an abomination of a Retriever in Halaima. This was unwise. She was being watched by Agents Kev The Ostrich and Kevin TheOstrich Sarain the entire time. 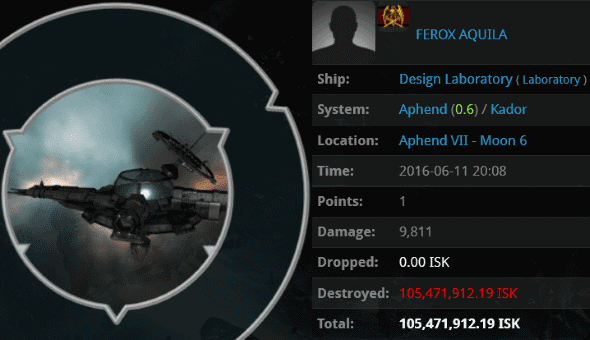 When the moment was right, they eliminated her 664 million isk mining barge. 'Ingenii' Ice Harvester Upgrade? I think not. The arrogance of highsec incursion runners is well known. simbella and her fellow Vindicator pilots saw no reason not to adorn their ships with the blingiest bling available. They encouraged themselves, "The New Order can't gank incursion runners, Veers Belvar told us so!" They were tragically mistaken. What they didn't know is that Agents Ranged Enigma, Kirra Tarren, Aerys Thunder, Roggo Tarren, Shielddude Logiguy, and Rettamitna were about to unleash a special project called "Operation Sansha's Little Helpers". 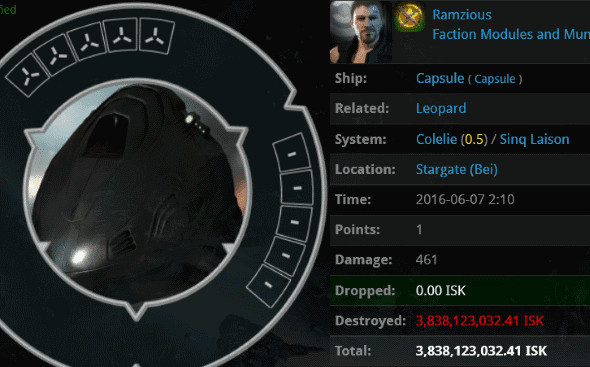 They vaporized simbella's 5.2 billion isk Vindicator--which was AFK at the time. 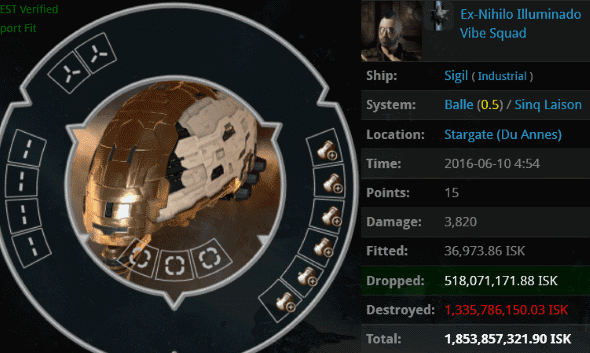 For good measure, the team also destroyed a 2.5 billion isk Vindicator and a 2.4 billion isk Vindicator in the same system on the same day. 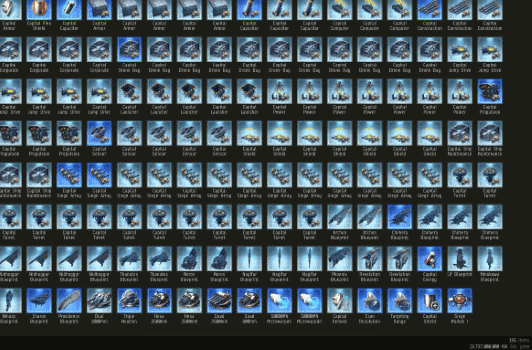 Once upon a time, CCP buffed the EHP of the tech I industrials. They were concerned that haulers didn't have enough hitpoints to survive suicide ganks. Looking at Ex-Nihilio Illuminado's Sigil fit, I think we can see what the real problem was. 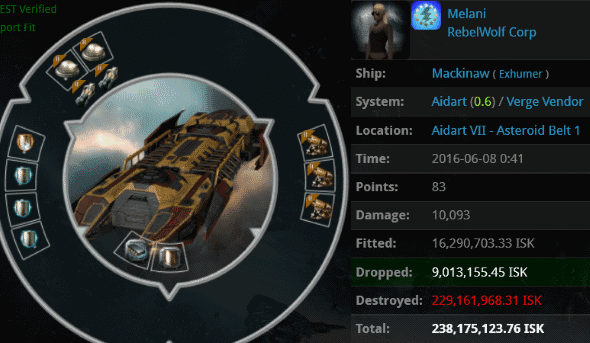 CCP's attempt to patch stupid failed. 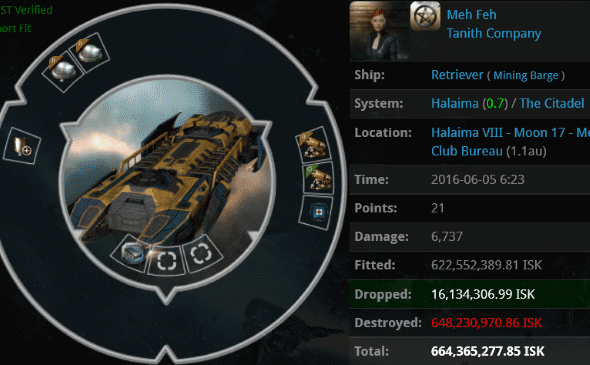 Agents Eva Mavas and Snapcase zapped Ex-Nihilio's sextuple-anti-tanked hauler. It was worth 1.8 billion isk, about half of that being a PLEX that had been packed up with the rest of the junk in the ship's cargo. Melani's active-tanked Mackinaw was a disturbing sight while it lasted. It had--you guessed it--a triple Civilian Shield Booster setup. Somehow Agent Snigie Audanie managed to overcome the tank and put Melani down. Of course, the rebels and skeptics will tell you that this was just another example of the New Order picking on defenseless newbies. As usual, the Anti-Gankers fail. Melani joined EVE in December 2003. Q: What's faster than a Leopard? Ramzious went AFK to autopilot in the increasingly rare limited-issue shuttle. He remained AFK after Agent Lucia popped the shuttle and the pod it contained. He's probably still AFK right now. His implants were worth over 3.8 billion isk. 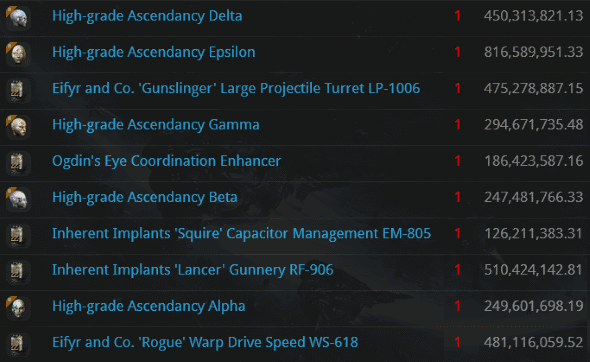 Ascendancy implants and a WS-618 were listed on the killmail. My, someone was in a hurry. As fast as a Leopard may warp with all of that gear, you can't beat the speed of the Pod Express. \o/ Hisec incursion running has long been a smudge on the otherwise great territory of James 315. Let's make EVE great again! Calm down, eh? Apparently you have just read an edition of Hisec Miner Grab Bag and gotten confused. But by all means, anonbear, please collect all of these ganker tears that you can find and put them in an article titled "Hisec Ganker Grab Bag". Might want to get your own blog first, though. Then we can compare and see who really needs to calm down. 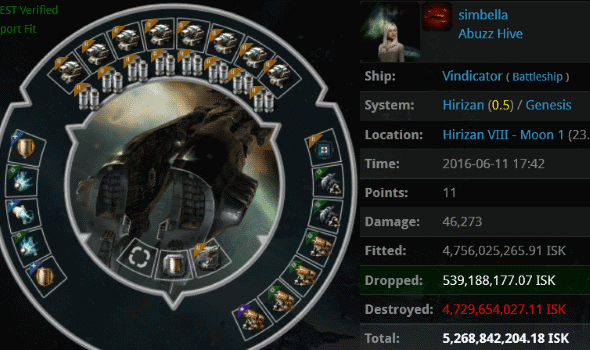 Highsec incursion running is great because the NO will not attack a fleet of heavily armed battleshits unless people are AFK. Do you know why? The NO will not attack ships that shoot back unless they are AFK. Go Incursions. That looked like a TVP fit anyways. But what if there suddenly were no incursions in Hisec? That is an interesting "what if" scenario. Unfortunately, for code, we both know that will not happen anytime soon. 50billion reasons ag fails non-stop daily continuously ALL the time! I wonder, how fast can Leopard warp with all those implants? Snigie you are a bad man. Picking on that 11 year old newbie. Zopiclone, I implore you... please give back the ships you stole from us! There is no way the New Order can continue! We haven't been able to complete a single gank since you stole from us! You have broken us! So how many Citadels have Jamey's CHODE. slaves destroyed so far for not paying their extortion fee? Obligatory Hi o\ Zopiclone. Good to see you still alive. Hope you're healthy and happy bro!